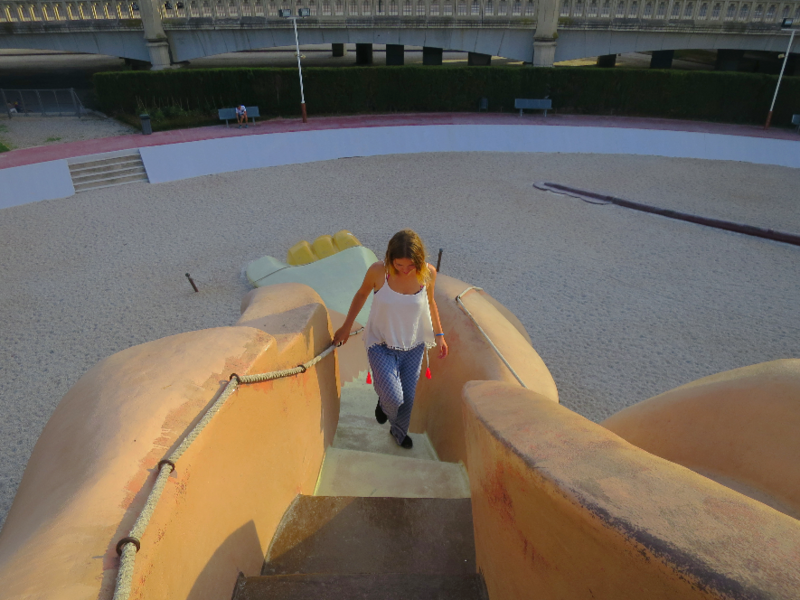 Valencia is an ideal place to visit regardless of the season. Located on the Mediterranean coast of Spain, it has 300 sunny days per year, which might very well be the reason why the Moors – the inhabitants of the region during the Middle Ages – called it a paradise on earth. Let’s discuss why Valencia must be in your bucket list. Despite being the third largest city in Spain, people often overlook Valencia for no good reason. The city has plenty to offer – a warm climate, beautiful architecture, fascinating traditions, fantastic parks and sandy beaches. On top of that, it is a birthplace of paella. What else could you possibly desire? Few days there were more than enough for me to fall in love with Valencia. 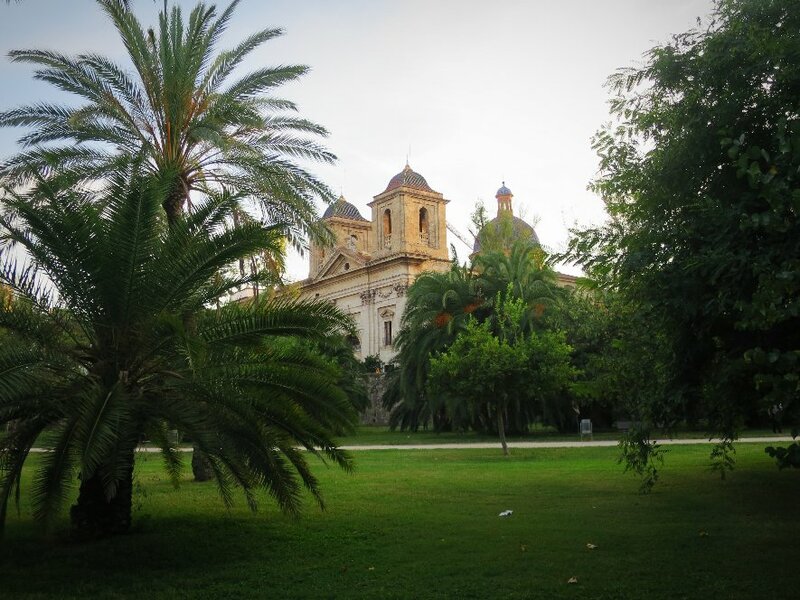 Nestled in the old riverbed, Jardin de Turia is the jewel of Valencia. Beautiful, nine kilometers-long garden is a brief of fresh air in the middle of a busy city. It connects two essential spots – the City of Arts and Sciences, and the Bioparc. Throughout its stretch, there is a great variety of spots to relax, rest, and play with kids. Running and cycling paths, as well as sporting facilities, make it an excellent place for sports enthusiasts: feel free to come and play baseball, football, or basketball with friends. Green area allows for yoga and tai-chi classes. Have no energy? Take a sit in one of the benches or have a picnic on the grass. Since the park consists of 12 areas, you have a chance to choose the one you like most. While taking a, you will still be able to enjoy the views of the city. Charming churches, museums, and squares can be seen on both sides. If you love cycling, it is quite cheap to rent a bicycle. You’ll have a great time exploring the area. Towards the east side of the garden, there is a fantastic playground for kids, called Gulliver Park. I couldn’t miss a chance to climb it all along. To my shame, I have tried only one of its slides. Other slides looked too scary for a grown up like me, haha. Anyway, it is a great place to spend an hour or two with the kids. Moreover, the entrance is free. 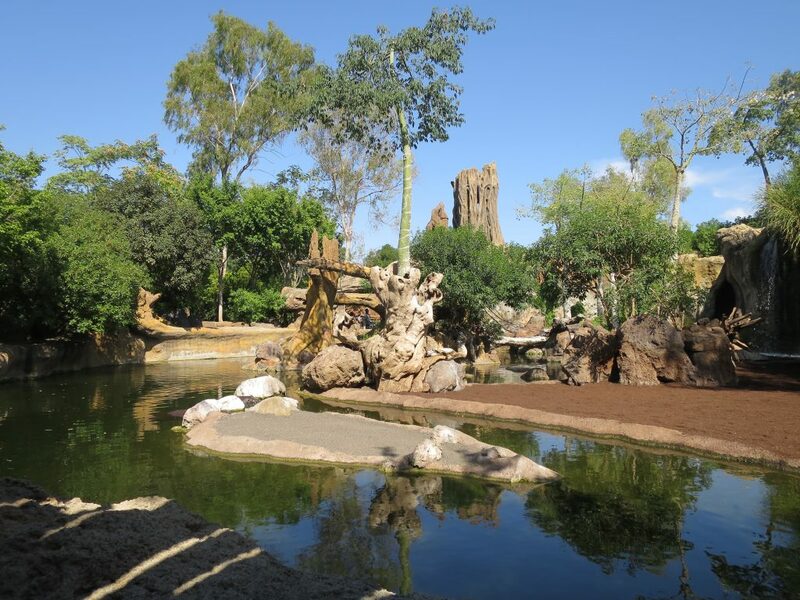 Visit Bioparc Valencia to charge yourself with positive energy and good vibes. Upon passing a regular-looking entrance and ticket offices, you will see a bridge, which will lead you to a totally different environment. As soon as you enter, you are guaranteed to forget you are in the middle of the city. Instead, you’ll find yourself emerged in the wild nature of Africa, recreated in an enormous 100000 m2 of this great park. In one day, you will be able to see African Savanna, Madagascar, Equatorial forest – all in one place. 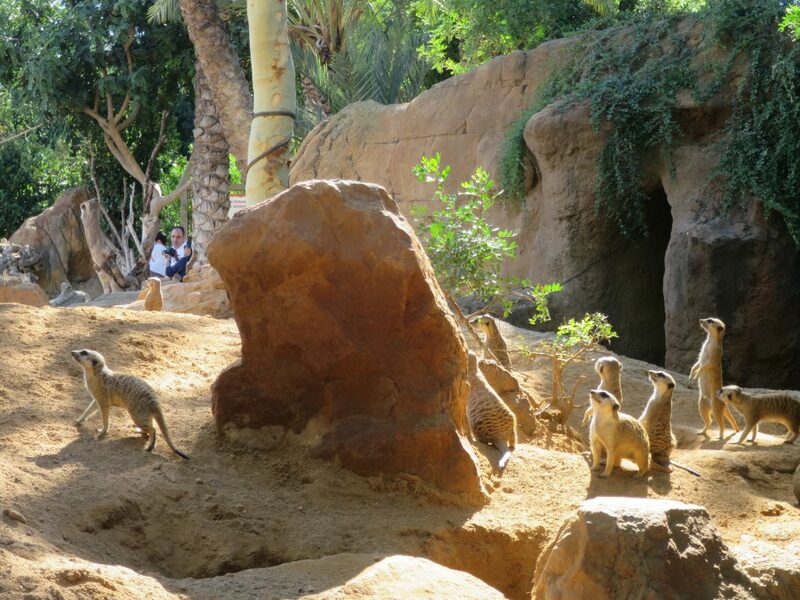 Bioparc Valencia is a beautiful park that has three round paths to admire environment and the animals up close. The installation’s design is excellent and allows visitors to come closer to the animals, in some cases even to be among them. What makes Bioparc special is that its dwellers do not live in cages, but rather in the environment close to their natural habitat. It’s spectacular to see animals of different species interacting and peacefully living together. I have been lucky to see, just from a few centimeters distance, a newborn monkey, and his mum, holding him tightly. As well as to walk through lemurs forest. No matter if you are coming alone or with children – you will enjoy your time there! The only thing I didn’t like is that staff confiscates all the food and drinks upon the entrance so that you would have to buy it inside. 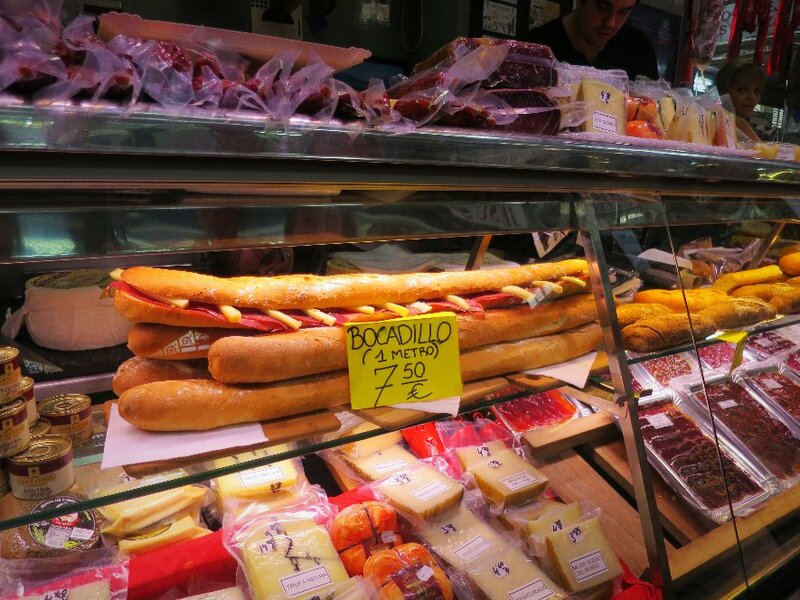 To see how seriously food is taken in Valencia, head to the local market. 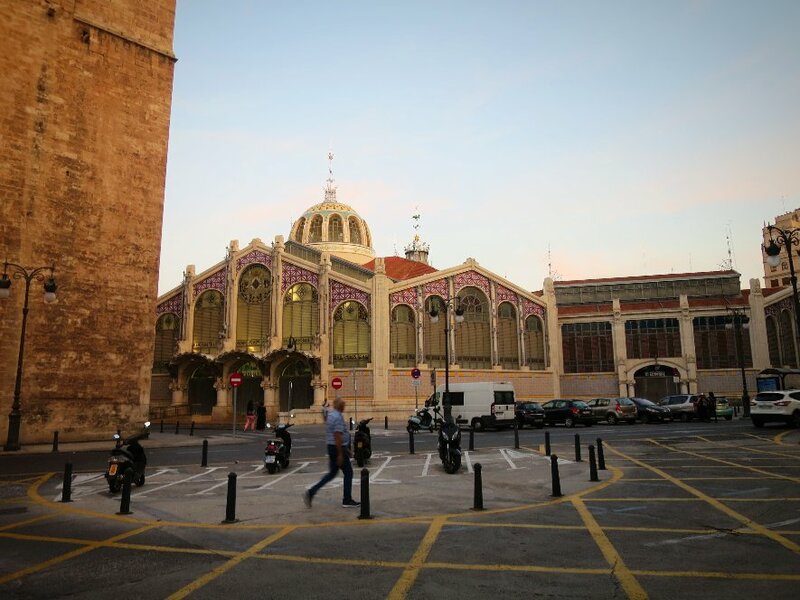 The Valencian Central market is one of the oldest in Europe. I suppose one of the prettiest too. Whether or not you need groceries, come there for an experience. You will be able to find any food you might wish for – from juicy fresh fruits and vegetables to enormously big local fishes and all types of Spanish Jamon. Everything is mouthwatering, so better have a snack before going there. Keep in mind that prices will be higher than average, as this place is tourist oriented. You can see it even from signs – most of them are in English. Moreover, the area around the market looks gorgeous too. Take a short walk to visit the principal attraction of Valencia – Silk Exchange. 15th-Century building has a high historical value and is named as Unesco World heritage site. Carmen district (El Carmen) is undoubtedly the most bohemian part of the city. There is no shortage of beautiful post-card views. It has a bit of everything. From churches and ancient, lovely houses, cobblestone streets, and hidden alleys, to cozy little bars and charming local shops. It’s also considered to be a place to listen to any music, even the one you had no idea existed. So, now you know why Valencia must be in your bucket list. I hope you enjoy it as much as I did! I studied in Seville but never made it to Valencia. Next time I’m there, I’ll def check it out! Very interesting article. Well worth the read for anyone considering visiting this beautiful city. 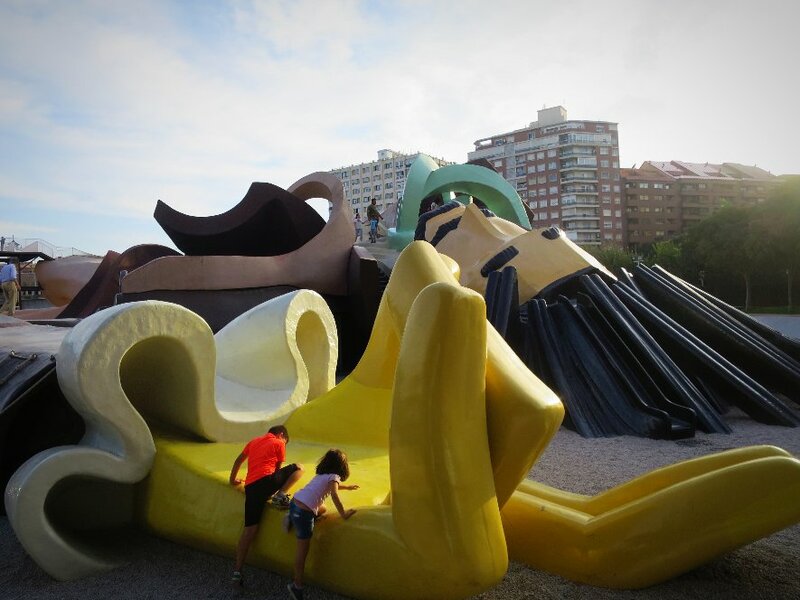 Oh.. Valencia looks like a great place to visit.. You have definitely included cool places to see like the Gulliver Park and the Bioparc Valencia.. Excellent post. Valencia looks so amazing . Hi :), I have been to Valencia, I didn’t have much time on my last visit. I can not wait to go back again. 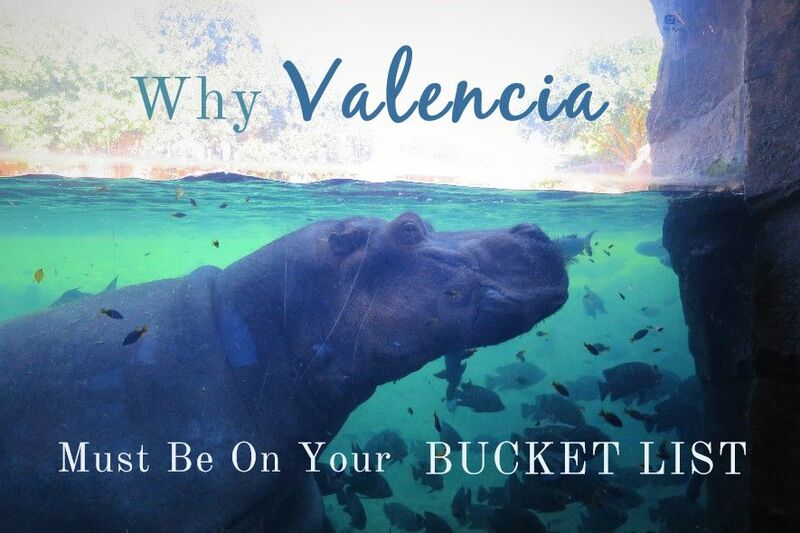 I agree everyone must put Valencia on their bucket list. The City of Arts and Sciences & Bioparc was my favorite. This looks amazing. Can’t wait to make it over to this side of the world! That Gulliver Park looks like a fun time for children and adults alike. Truth be know we are all young and heart and love to play. The market also looked like a great place to refuel after all that play. Thanks for sharing. Keep traveling vlogging. Adventure is better when shared with friends! We talked about going to Valencia while we were visiting Barcelona this past summer but decided that the timeline was too tight. Now I am definitely going to have to go back and check it out! Great post. Very interesting. I’ve seen so many Spanish cities but somehow never made it to Valencia. Will definitely use this post if I go there. I am sold! Itching to pack my bags and head out right away! Hitting the road in September and i’ll be in Valencia in October so i’ll keep some of these advices in mind! I love Spain, I was in Valencia for only two days. I can not wait to go back. Great informative blog, will try your recommendations when I am there next. Love the photos. Looks like you had an awesome time. I’ve been to Valencia but I didn’t see a lot of the places you have described, so I hope to visit it again soon!